"Kent Vaccaro looks to bring Momentum Motorsports to the top at COTA"
Austin, Texas (October 17, 2018) – It seems like just yesterday that the F4 United States Championship Powered by Honda season started, but this coming weekend will mark the final event on the 2018 calendar. Gaining speed and improving on results throughout the year, the Skip Barber Momentum F4 program will now head west to the famed Circuit of the Americas (COTA) to complete alongside the Formula One World Championship in the highlight event of the season. Kent Vaccaro will be the lone Skip Barber Momentum F4 driver as he enters the weekend with recent success. 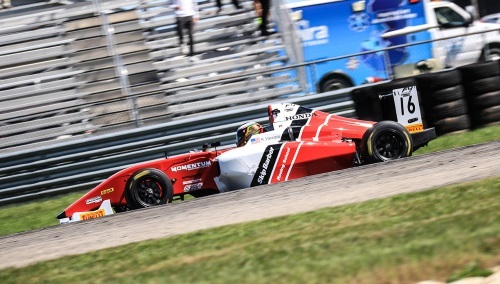 Scoring points in three of the last four races including a pole position and a veteran drive from 31st to sixth during the last wheel-to-wheel action at the New Jersey Motorsports Park, Vaccaro is looking to put Skip Barber Momentum F4 on the podium and vice versa. With the final event weekend fast approaching, Skip Barber Momentum F4 is also planning for an intensive winter test program. Housing their trailer and three F4 machines in warmer climates, the New York based team is welcoming new and existing drivers that are looking to try their hand behind the wheel of an F4 car or are looking at the F4 United States Championship Powered by Honda as an option in 2019. Drivers will be forced to get up to speed quickly at the ultra fast Circuit of the Americas as four on track sessions is all that they will get over the course of the weekend. Friday will be the home of practice and qualifying while Saturday and Sunday will provide drivers two opportunities to stand atop the podium. 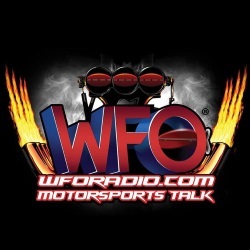 Please visit www.F4USChampionship.com for more information on the series.